Members of the Golden Gopher men's basketball team met the media before they played Middle Tennessee State in the 2017 NCAA Tournament on March 16, 2017. Gopher Men's Basketball: Shootaround at the NCAA Tournament! Reaction: Gopher Men's Basketball Selected to 2019 NCAA Tournament! 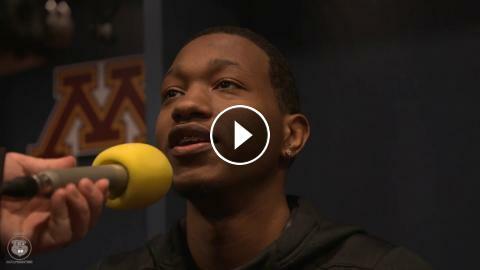 Gopher Basketball Reacts to 2017 NCAA Tournament Selection! Gopher Women's Basketball Makes 2015 NCAA Tournament!